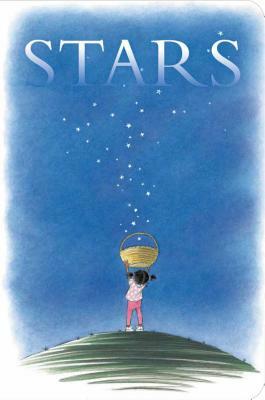 Celebrate all of the glittering stars in the sky in this tender Classic Board Book by acclaimed author Mary Lyn Ray and Caldecott Honor winner Marla Frazee! A star is how you know it’s almost night. As soon as you see one, there’s another, and another. And the dark that comes doesn’t feel so dark. What if you could have a star? Look very closely in this lovely Classic Board Book for all kinds of stars both near and far…because stars are everywhere. Not just in the sky. Mary Lyn Ray is a conservationist and author of several picture books for children. Ray’s texts are often praised for their lyricism and emotional depth, and in her works she frequently focuses on humankind’s relationship with nature. Among her critically acclaimed titles are Stars, Christmas Farm, Pumpkins, Shaker Boy, and Welcome, Brown Bird. Marla Frazee was awarded a Caldecott Honor for All the World and A Couple of Boys Have the Best Week Ever, and the Boston Globe Horn Book Award for Picture Book for her wordless book The Farmer and the Clown. She is the author-illustrator of many books, including The Boss Baby, the book that inspired the DreamWorks Animation film Boss Baby. She has illustrated many acclaimed picture books, including God Got a Dog by Cynthia Rylant; Stars by Mary Lyn Ray; and Everywhere Babies by Susan Meyers. She is also the illustrator of the New York Times bestselling Clementine chapter book series by Sara Pennypacker. The mother of three grown sons, she lives in Pasadena, California. Visit her at MarlaFrazee.com.